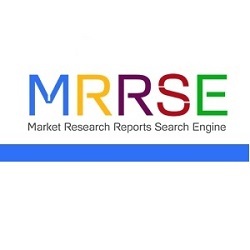 In order to study the various trends and patterns prevailing in the concerned market, Market Research Reports Search Engine (MRRSE) has included a new report titled “Smart Grid data Analytics Market” to its wide online database. This research assessment offers a clear insight about the influential factors that are expected to transform the global market in the near future. Smart grid data analytics are data analytics solutions used to analyze data generated from the smart grid network. These solutions can also be defined as a subset of Big Data analytics solutions used specifically for energy & utilities. The main purpose behind using data analytics solutions for the energy & utilities sector is to enable utility providers to optimize their efficiency and minimize losses occurring in electricity generation and distribution. The data is generated from different intelligent components such as smart meters, automated distribution systems, and sensing & measurement devices; this is then transmitted to the utility station for further predictive analysis. Through such predictive analysis, utility providers seek to cater to the ever-increasing demand for electricity more efficiently and with optimum return on investment (ROI). The market for smart grid data analytics is segmented based on the type of data analytics solutions, service type, deployment models, and the end-users. On the basis of data analytics solutions, the market is segmented into advanced metering infrastructure (AMI) analytics solutions, demand response solutions, grid optimization solutions, asset management solutions, and others. The others segment includes energy forecasting solutions and data visualization tools. The services provided by the utilities provides include professional services (consulting) and support & maintenance services. The market is segmented based on the type of deployment models into on-premise, cloud-based, and hybrid deployment models. Based on the end-users, the market for smart grid data analytics is segmented into small & medium enterprises (utility/grid owners), large enterprises (utility/grid owners), and public sector entities (utility/grid owners). This report studies the current scenario as well as the future market potential for smart grid data analytics globally. Apart from the smart grid data analytics segment, additional market information for BSS solutions used specifically for utility providers has also been included in the report. The market for these smart grid data analytics and BSS solutions has been extensively analyzed on the basis of factors such as types of solutions, adoption, and activities (such as investment) in the smart grid industry and the various geographic regions across which the market is spread. The market size and forecasts in terms of revenue (US$ Mn) for each of the segments has been provided for the period from 2013 to 2022, considering 2014 as the base year. The report also provides the compounded annual growth rate (CAGR) for each segment of the market for the forecast period from 2015 to 2022. Geographically, the global market for smart grid data analytics has been segmented into five regions: North America, Europe, Asia Pacific, Middle East and Africa (MEA), and Latin America. The market size and forecast for each region has been provided for the period 2013 to 2022 along with the CAGR (%) for the forecast period from 2015 to 2022. The study also includes qualitative analysis of the competitive scenario for major countries/regions in these geographical segments. The market overview section of this report comprises qualitative analysis of the overall market, highlighting the factors determining market dynamics such as drivers, restraints, and opportunities, along with the key trends analysis. The section also includes ecosystem analysis, wherein the role of smart grid equipment providers and smart grid analytics solutions vendors has been discussed. The report also provides a section on the competitive landscape, wherein the market positioning analysis of the leading players in the smart grid data analytics market in 2014 has been discussed. Strategies adopted by the leading players in the market have also been included under the competitive landscape section. The report concludes with the profiles of major players in the global smart grid data analytics market such as Accenture Plc., IBM Corporation, Siemens AG, SAS Institute, Inc., SAP SE, Oracle Corporation, Opower, Inc., EMC Corporation, Cap Gemini SA, and Hewlett-Packard Development Company, L.P.